Aishwarya Nair, is not just another hotelier on the block. The lady adorns one too many hats, and she balances them all with such poise and grace, that it’s hard to not be enamoured by her. After noticing her on every top best dressed list in the country, it was an absolute pleasure to meet the woman in person, to whom her style statement is second skin. Nair, is not only a fashionista, she’s known to support upcoming labels, scout for talents across the country and is always on a lookout for something unique. A fascinating traveller, whose travel journals cause major envy, what she’s most passionate about is wine (The Leela Hotels, which Nair is the heiress to, boasts of some of the best wine lists in the country and even the world, she heads their Food & Beverage Division). 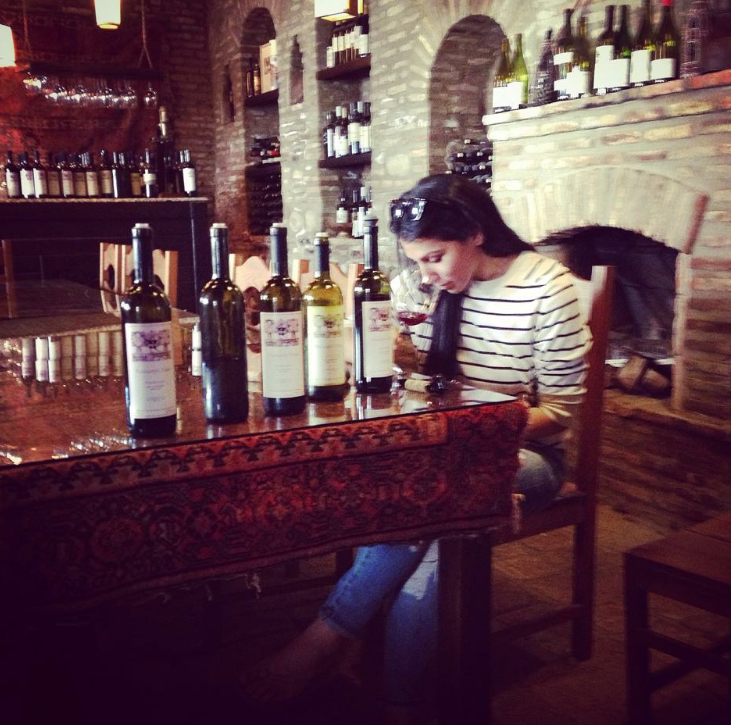 She perhaps is one of the few leading female wine connoisseur and consultants in the country. I got talking to her to learn a trick or two about enhancing my naïve vino knowledge which led to this piece. 1. Price – Price is not always an indicator of quality. Although for the most part it is understood that a very cheap bottle of wine is mass- produced with not the finest ingredients but there are very many value wines that can be sought out in the world market. 2. Vintage – Vintage in direct translation means year. A lot of people tend to get intimidated by the word and it’s meaning just because it’s in French, but it actually just is a marker of the year the wine was harvested. 3. Temperature of Wine – Room temperature is the ideal to serve wine, but we are talking about room temperature in the early 1700’s. As for this day and age 13 degrees celsius is your ideal storing temperature. For service while dining and tasting Champagne: 6-8 degree celsius; White wine of light to medium body: 9-10 degree celsius; White wine of full body wine with an oaky profile: 11 degree celsius; Red wine that is fruit forward and of a lighter style 12-13 degree celsius; Red wine that is light and medium in body: 14-16 degree celsius; Red wine with richer, fuller intensity and body: 17-18 degree celsius. 4. Adding Ice to your wine – In short this is the major number one abhor; The thought of adding ice to wine even in a hot climate. By adding ice to your wine you are definitely decreasing the temperature but also unfortunately diluting the flavour profile of the wine itself. You are better off with just waiting for the wine to cool down and appreciating it as intended by the producer. 5. Glassware – Glassware is no joke when it comes to tasting or appreciating wine. What most people don’t know is that the depth and thickness of the glass is of pivotal importance as it dictates where the wine finds on your tongue. This is very important as we have five different taste receptors on the tongue which include, sweet, sour, bitter. Champagne is only from Champagne – Most people refer to sparkling wine as champagne, which is incorrect. Champagne is a sparkling wine that only comes from the region of Champagne in France and can be only referred as so. Therefore if you’re served Cava, Prosecco or sparkling wine from India, it cannot be called Champagne as it does not originate from there. Follow Aishwarya for the best of Food, Fashion, Travel and ofcourse Wine on Twitter and Instagram.